** Originally published in the Summer 1996 issue of The Crabbet Influence magazine. The great Gulastra 521 died before his last batch of foals arrived in 1955. Left among his legacy was a chestnut colt foaled on June 7, out of Al-Marah Aasaba 5352, “one of our best Indraff 1575 daughters,” states breeder Bazy Tankersley in some old correspondence regarding the mare. 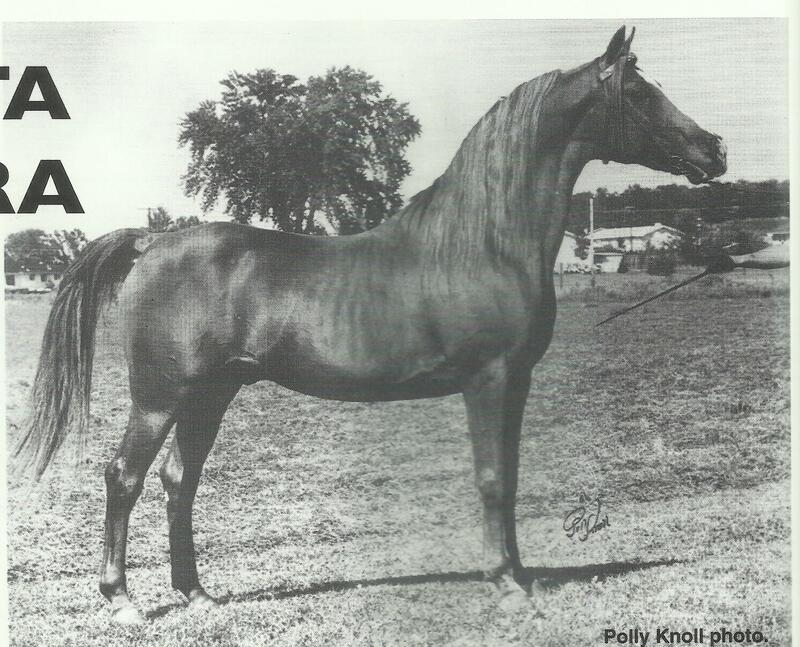 The colt was originally named Al-Marah Anmar, which is Arabic for ‘patriarch.’ The name was later changed to Roh Beta Gulastra (pictured above in the article/header photo, taken by Polly Knoll), after his purchase in the 1956 Al-Marah Auction by Dr. Roger Baker, who was “Jack Armstrong – The All American Boy” of radio fame. Roh Beta Gulastra’s bloodlines are a rare and wonderful blend of Crabbet stock descending from old Egyptian sources of Ali Pasha and the desert tribes of Egypt. He was considered 61/64ths Al Khamsa. His pedigree also reveals a great deal of athletic ability. Roh Beta Gulastra’s sire, Gulastra, was bred by W.R. Brown, Maynesboro Stud, Berlin, NH (The ‘M’ in CMK), and foaled May 21, 1924. Gulastra lived to the ripe old age of 31 and sired 115 registered foals which was a large number of foals for those days. 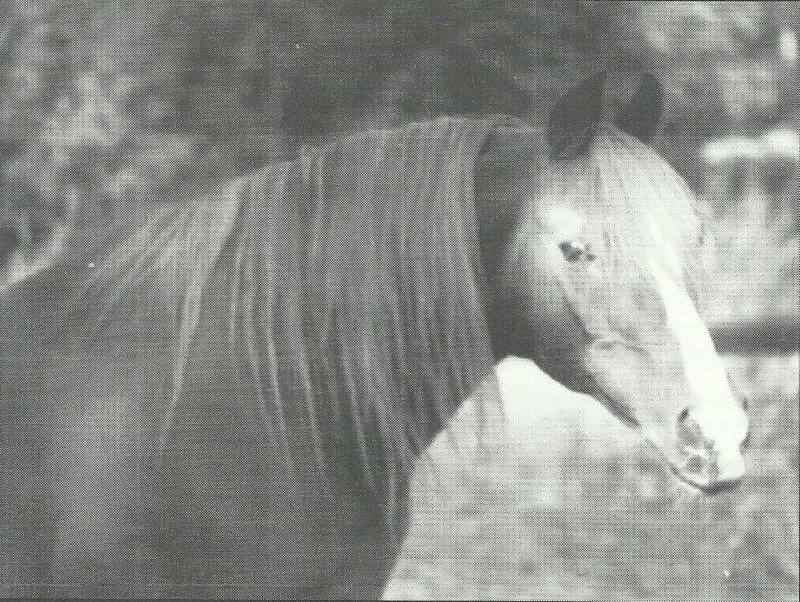 Gulastra sired horses all over the United States, and this chestnut’s last home was with Bazy Tankersley of Al-Marah Arabians. Gulastra’s sire, *Astraled 238, was bred at Crabbet Park Stud in England, and imported at the age of nine in 1909 by F. Lathrop Ames. *Astraled was the sire of *Ramla 357, winner of the 306 miles long Endurance Test of 1919 for the U.S. Mounted Service Cup, and also the sire of Kheyra 229, who placed third that same year. 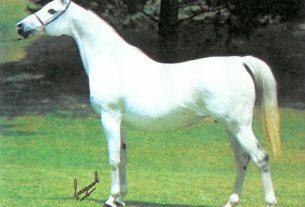 Gulnare 278, Gulastra’s dam, was sired by *Rodan 258, bred by Crabbet and imported in-utero in 1905 by Spencer Borden, and was out of *Ghazala 211, a grey mare bred by Ali Pasha Sherif of Egypt. *Rodan took fourth overall and High Scoring Stallion in the 154 mile Morgan Horse Club Endurance Test in 1913 with a time of 30 hours and 40 minutes, the same time as for the winner who was carrying 20 more pounds than *Rodan. 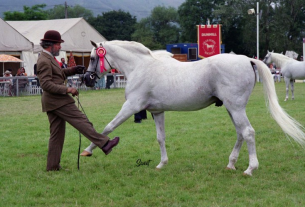 The dam of Roh Beta Gulastra, Al-Marah Aasaba 5352, was sired by Bazy Tankerlsey’s highly regarded foundation sire Indraff 1575 who was of Crabbet descent (*Raffles 952 x *Indaia 813), and out of Nafri 2010, a daughter of the great Egyptian racehorse *Nasr 889, who stood at stud at the world famous Manial Stud prior to being imported to the U.S. by W.R. Brown. They say “like father like son” and Roh Beta Gulastra sired horses all over the United States as did his father before him. 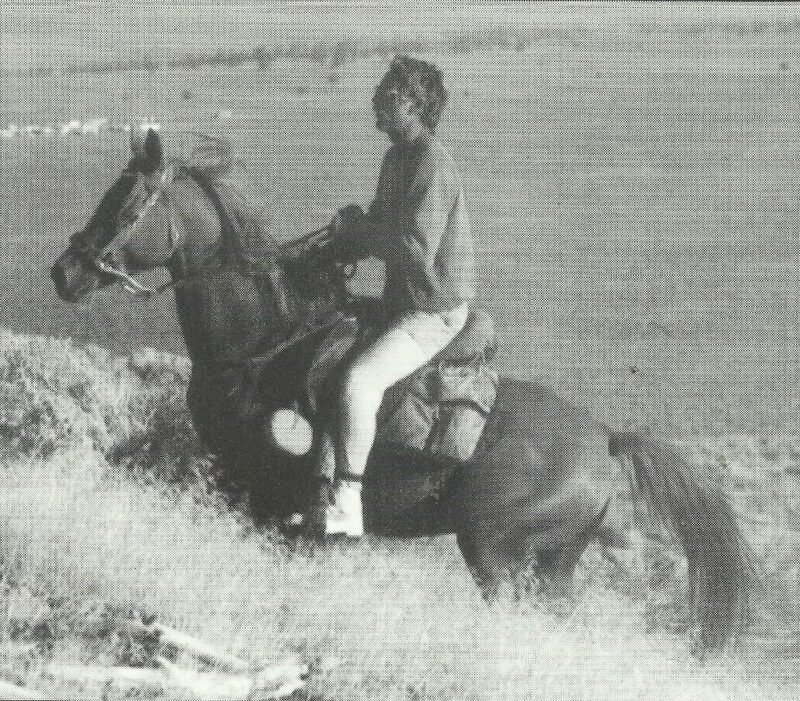 After Dr. Roger Baker left the Arabian horse business, Roh Beta Gulastra was sold. It is difficult to account for all of Roh Beta Gulastra’s owners. It appears he stood in the Midwest for a time, as well as The Elephant Walk Trading Company in Pleasant Valley, NY, for a $1000 stud fee from 1975 through 1979. Howard Marks of Tracy. CA, had owned Gulastra in his later years prior to Bazy Tankerlsey in 1953. As part of that same circle of life, Marks purchased Roh Beta Gulastra sight unseen in 1982. In a brief article appearing in the 1984 January Arabian Horse World, Marks felt Roh Beta Gulastra “Looked so much like his sire that it was just like the old horse comin’ home.” The article was written when Roh Beta Gulastra was 29, and it goes on to say that “Whenever a mare comes by, he starts prancing and showing off and is very masculine.” Roh Beta Gulastra’s antique bloodlines blended nicely with the Crabbet Egyptian mares of Howard Marks, producing some very nice stock that is still breeding today. Roh Beta Gulastra at age 31. Robbi Pruitt photo. Roh Beta Gulastra became affectionately known as “RB” and he lived out his days with Robbi Pruitt until he died at the age of 33. 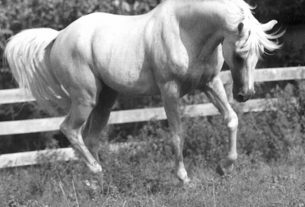 Pruitt, a breeder dedicated to preserving the antique desert Arabian blood, crossed RB onto her CMK mares, retaining several of them as breeding stock for her herd. Gulastras Splash and Robbi Pruitt at Bandit Springs 50. Ted and Joyce Brown photo. Gulastras Sundown and Al Paolo at the Oregon 50. Ted and Joyce Brown photo. RB, like his sire Gulastra and also his grandsires *Astraled and *Rodan, was noted for siring athletic performance horses. Quite a few of RB’s later foals bred by Robbi Pruitt have gone on to be successful endurance horses. “It was a great feeling,” Pruitt told me, “to see five RB descendants that I bred going down the trail on the Death Valley Encounter.” The Death Valley Encounter is an AERC multi-day ride of 210 miles in four days and was held late December 1995. RB’s son, HMR Striko, a bay stallion out of HMR Bint Shiko, got off to a promising start, completing 200 miles in the American Endurance Ride Conference (AERC) sanctioned rides prior to a pasture injury, the result of getting a leg over a pipe rail fence. HMR Striko also has a couple offspring beginning endurance careers. Gulastras Echo, a chestnut stallion out of Queen Lawruska, is nearing 1000 miles carrying heavyweight rider, Gary Rexroad. The RB daughters, HMR Waulastra out of HMR Wautal, and CR Bezt Chablis out of Ms Bezt, have been tested in endurance before becoming broodmares. 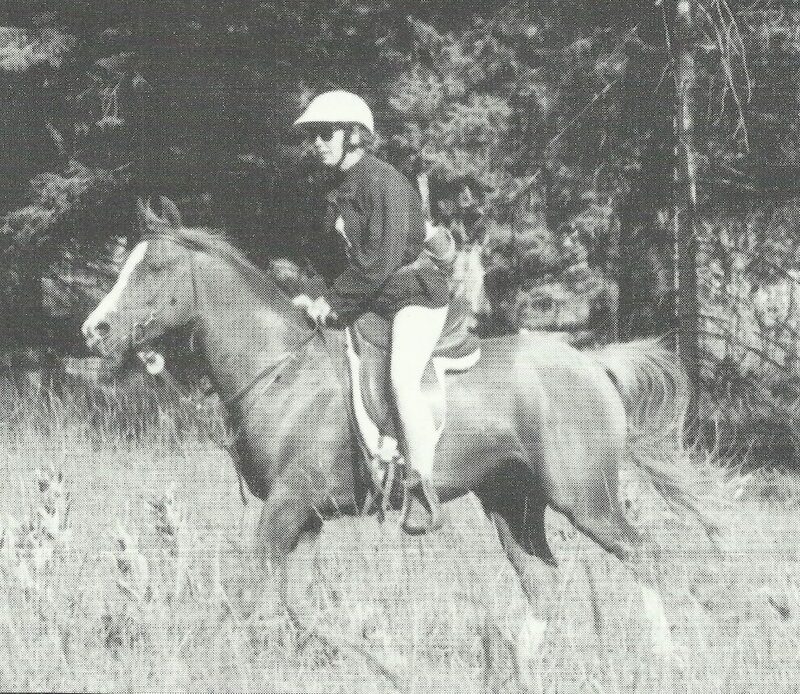 Gailastra, a grey gelding out of Gai Andromeda and owned by Kathy Murphy, has performed well in endurance rides of 50-100 miles by placing in the Pacific Northwest Endurance Rides Top 25 and AERC Northwest Region standings for 1995. CR Cajuns Bezt, out of Ms Bezt and owned by David Allen, has approximately 500 miles down the trail. Gulastras Sundown, a chestnut gelding out of HMR Hariba is owned by Al and Karen Paulo (this writer). He started his endurance career in 1995, having only 100 miles to his credit, and shows a lot of future promise. It looks as though the athleticism from the desert will continue to trickle into the future through roh Beta Gulastra offspring.